From the Western History/Genealogy Dept., Denver Public Library. 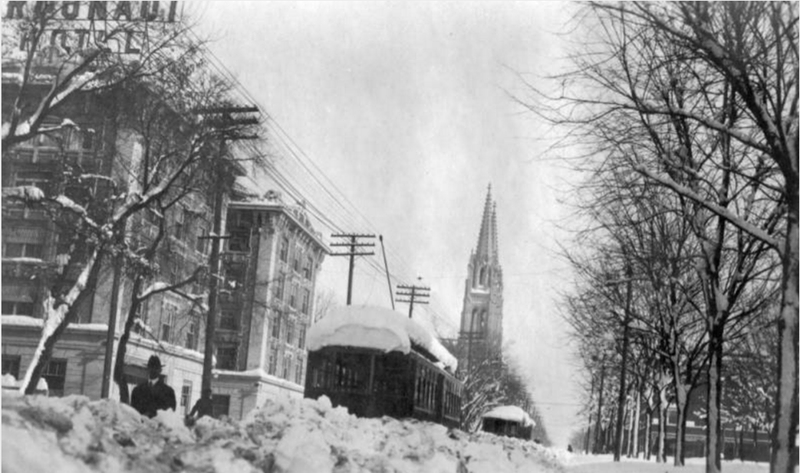 Take a look at this 1913 photograph from Old Images of Denver of a Denver City Tramway trolley car on Colfax Avenue in Denver stuck in the snow. Also shows the Argonaut Hotel, and the Cathedral of the Immaculate Conception (completed only a couple years earlier in 1911) in the distance. Megan Burtt headlines the Bluebird at long last! Suburban Toppers celebrates 30 years in business! Dwarves at the Bluebird Theater Tonight!